Whether you’re cheering for the Mavericks, supporting the Stars, or seeing your favorite band perform live, National Charter Bus has all of your transportation covered to American Airlines Center in Dallas, Texas. 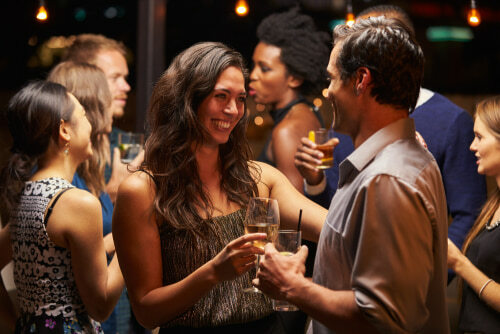 Let a professional handle driving and parking so you can focus on enjoying your event. Call our 24-hour reservation specialists at 214-206-1981 to get started today! 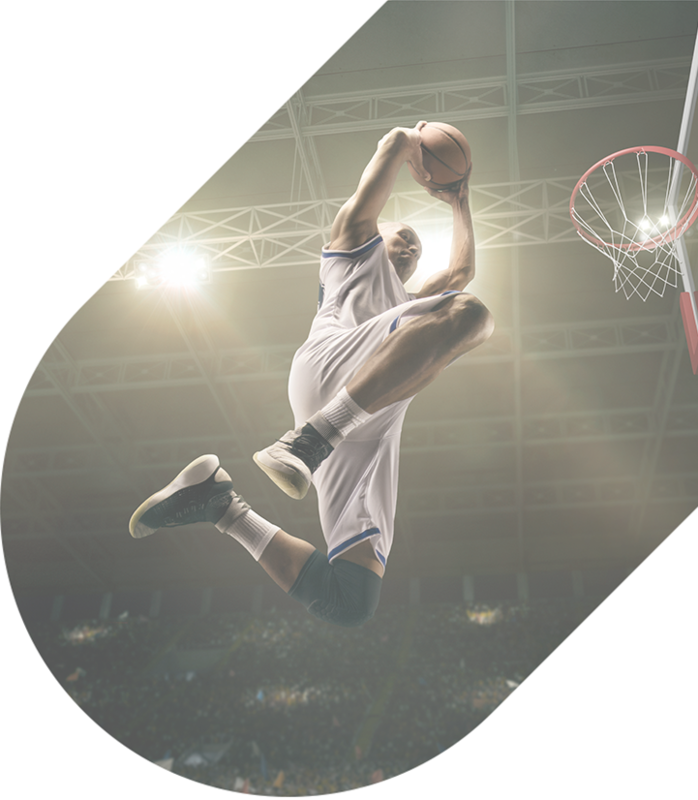 Home to the NBA’s Dallas Mavericks and the NHL’s Dallas Stars, American Airlines Center hosts a variety of exciting sporting events throughout the year which are sure to dazzle any sports fan. Between games, the arena also hosts multiple musical acts and other showcases for attendees of all ages. 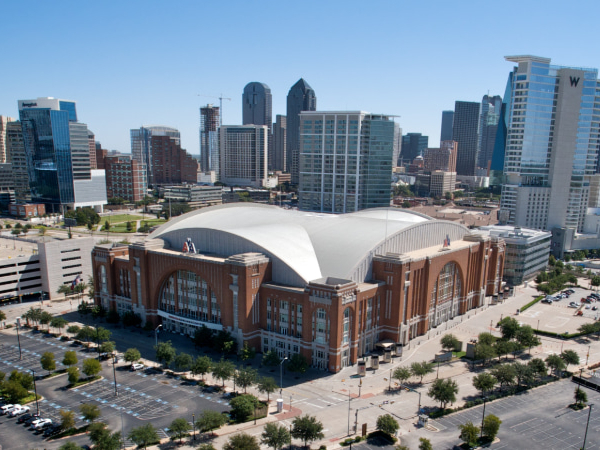 No matter what type of event brings you to American Airlines Center, let National Charter Bus handle all navigation to the arena and around Dallas for an easy and stress-free trip. Why Book a Private Bus? When you’re traveling with a group, coordinating transportation can be tricky. Figuring out who will drive, calculating per-person gas costs, and staying together in a multi-car caravan can create logistic hassles. Instead of worrying about how you’ll get to the arena, rely on National Charter Bus to transport your group to and from American Airlines Center with absolute ease. A professional driver will make sure that everyone arrives on time to your event, allowing you to relax and focus on having a great time at the arena. A variety of bus options are available to choose from with National Charter Bus. If you’re headed to see the Mavs with a small group of fans, renting an 18-passenger minibus is a great way to travel as a unit to the game. Larger groups attending an event at the stadium can book a full-sized 55-passenger bus to accommodate a larger number of passengers. Whichever vehicle you choose, you’ll have your choice of premium amenity add-ons such as air conditioning for the Texas heat, WiFi and televisions for entertainment, and an on-board restroom for easy long-distance trips. Head to a game at the American Airlines Center to show your support for the Mavericks or the Stars! Seats in the arena are frequently sold out, making each game an exciting and heart-pounding experience you’re sure to remember forever. The arena was the first to install high-definition replay screens in 2009, which were soon followed by a new surround-sound audio system, both of which come together to create an immersive atmosphere. Whether you’re a newcomer or a lifelong fan, the arena is sure to deliver a unique and unforgettable experience at each game. The venue offers just over 18,000 seats for Dallas Stars games or 20,000 seats for Mavericks games. Suites are also available for lease, allowing you to enjoy the game in comfort and privacy with just your group members close by. As many sports fans know, sometimes simply getting to the arena can be a challenge. The more people you’re traveling with, the more cars you have to account for as you caravan to the stadium. Things can get sticky as you work out who will volunteer their car, who will drive, and where everyone will park their cars. A private bus from National Charter Bus eliminates these worries by streamlining your travels to the game. Simply load your group of fans onto the bus and let a professional driver navigate you to American Airlines Center. Your driver will drop you off at the arena and will be ready to pick you up when the game is finished. 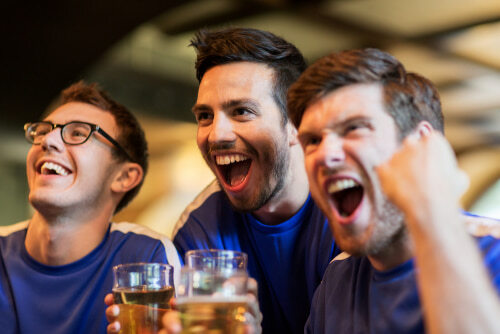 Let us deal with the parking and navigation logistics while you focus on cheering for your team! American Airlines Center’s past performance acts include Fleetwood Mac, Gabriel Iglesias, Elton John, the Harlem Globetrotters, Bruno Mars, and countless others. If you’re planning a trip to Dallas, take a look at the stadium’s event calendar to see what’s playing during your stay. Even if you’re not a basketball or hockey fan, you can still pay a visit to the venue for an event. Add your favorite musical act to your Dallas itinerary and your personal driver will make sure that you arrive safely to the arena right on time for your show. American Airlines Center offers a variety of private gathering areas for events, meetings, private parties, and viewing parties. Multiple room sizes are available to choose from, with the 1,500-square-foot Dr. Pepper Fan Zone holding up to 50 guests and the 17,000-square-foot Victory Plaza holding as many as a few hundred guests. Host a swanky evening party at the Lexus Platinum Club, or knock out a few important meetings in the Admiral Meeting Rooms. Many of the spaces can be customized to your group’s needs. In-house catering is also available for all private events. National Charter Bus can help complete your event with private transportation services. Book a clean, modern coach to bring your group into Dallas or to provide luxury shuttle services between your hotel and American Airlines Center. Don’t worry about securing parking or staging areas for your custom coach-- you can leave the transportation logistics to us while you focus on planning other aspects of your event. For more information about private shuttle services, contact our 24-hour reservation specialists at 214-206-1981. Near American Airlines Center, you’ll find plenty of restaurants and bars to explore, all of which serve as perfect gathering spots for a meal before or after an event at the stadium. Schedule a group dinner at any nearby restaurant, and National Charter Bus will be your designated driver to your event at the arena! Ready to book? Whether you’re in Dallas for a concert, corporate event, or sporting event, National Charter Bus will make sure your trip runs smoothly with customized transportation services. Rely on us to make your trip to the American Airlines Center unforgettable. Call our 24-hour staff today at 214-206-1981 to receive a free, no-obligation quote for your Dallas trip!